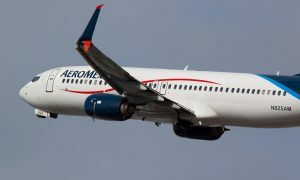 Aeromexico announced the launch of direct flights between Mexico City and Barcelona at the International Tourism Trade Fair (FITUR) in Madrid, Spain. 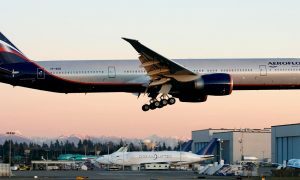 The airline will start to operate the new route on June 15, 2019, with three weekly flights operated with its Boeing 787-8 Dreamliners. Aeromexico also plans to add new service to the Barajas airport in Madrid and to the Charles de Gaulle Airport in Paris, France, for up to 18 direct flights to Madrid per week, and 11 weekly flights to Paris, representing a 22% growth. These new flights are added in response to high customer demand and preference. In 2018 alone, the number of passengers flying to Madrid was up 17% over the previous year, with a 10% increase to Paris. “Barcelona is Aeromexico’s fifth destination in Europe, strengthening our presence on the continent and making us the only Mexican airline to offer this route,” van der Werff added. Aeromexico flights to its four European destinations, including Amsterdam, London, Madrid, and Paris, are operated with Boeing 787-8 Dreamliners with 243 passenger seats, including 32 in Clase Premier, the Aeromexico Business Class Cabin, and its Boeing 787-9 model with 274 seats, including 36 in Clase Premier. The Dreamliner is considered among the most modern aircraft in the world. In 2018, Aeromexico carried nearly 22 million passengers to its 90 domestic and international destinations, representing a 5.9% growth over 2017.